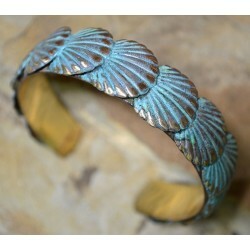 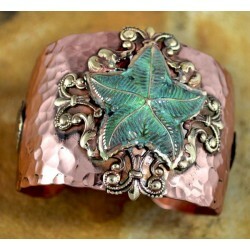 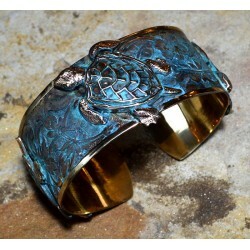 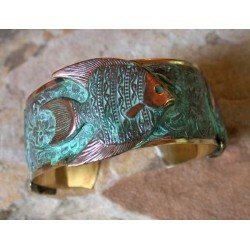 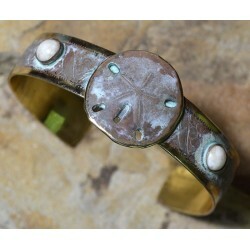 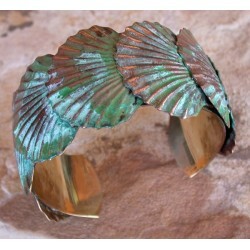 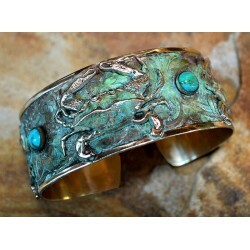 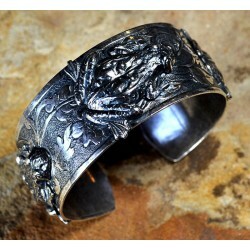 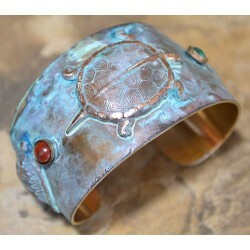 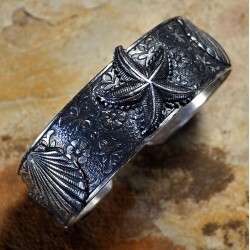 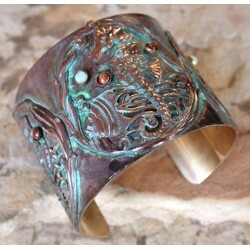 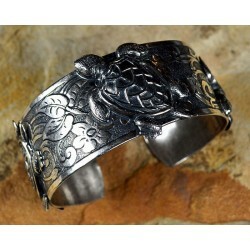 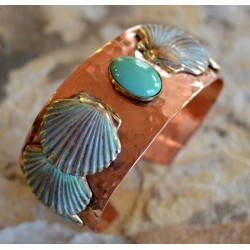 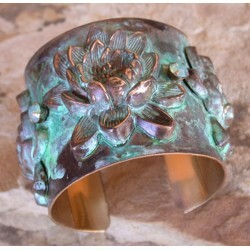 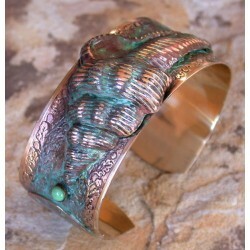 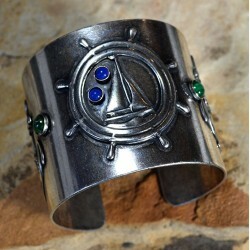 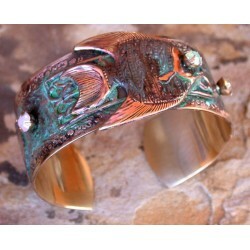 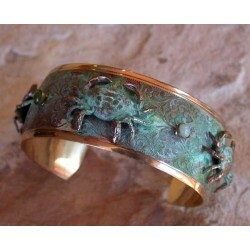 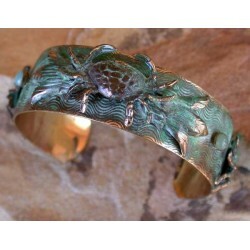 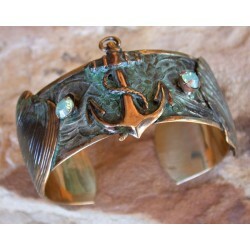 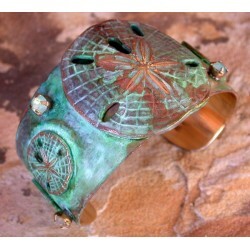 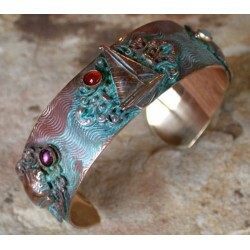 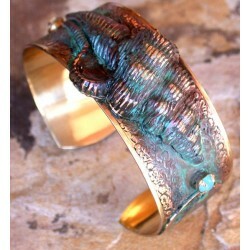 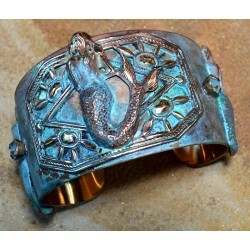 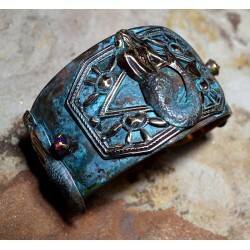 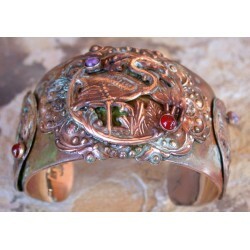 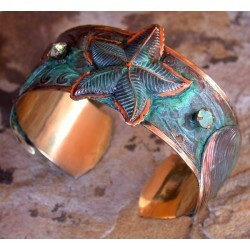 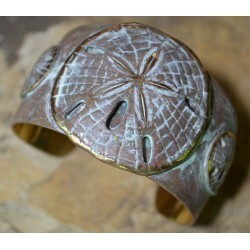 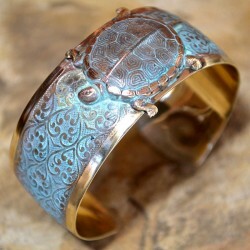 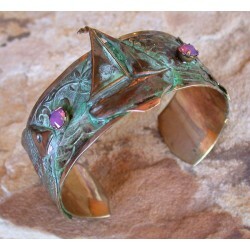 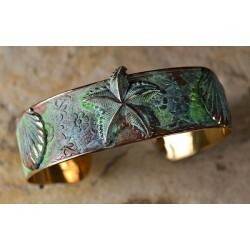 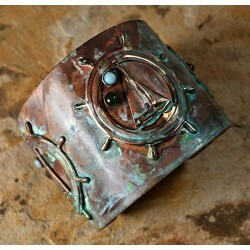 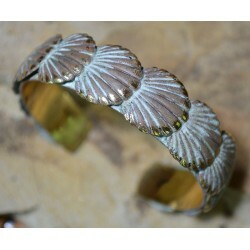 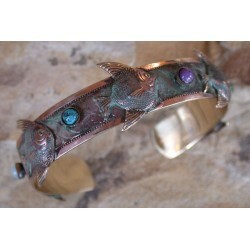 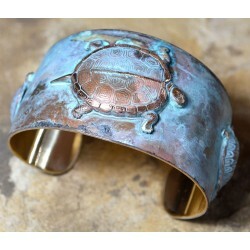 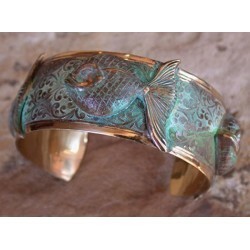 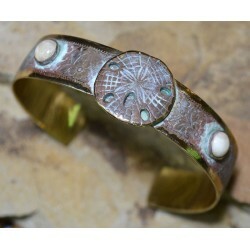 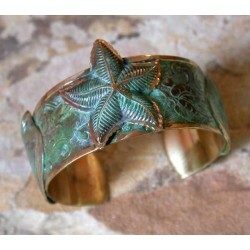 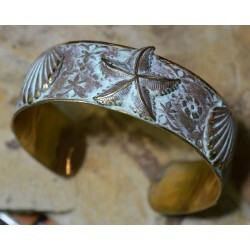 Oceania Cuff Bracelets by Elaine Coyne Galleries. 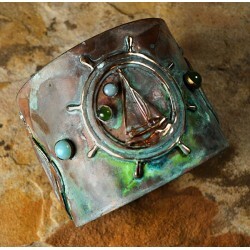 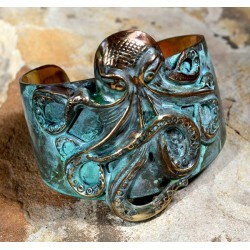 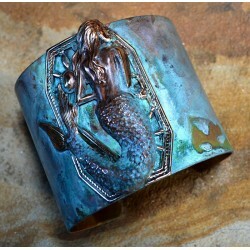 Our Sealife Cuff Collection celebrates the essence of life itself, our most precious of resources, water. 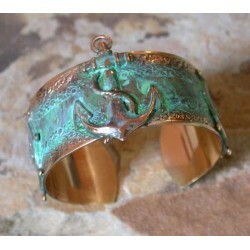 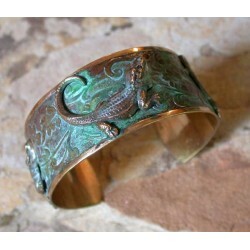 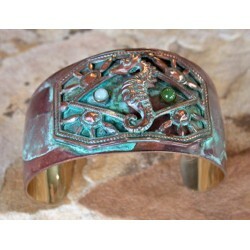 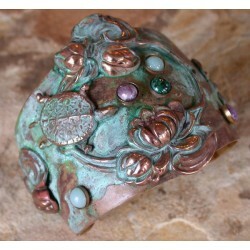 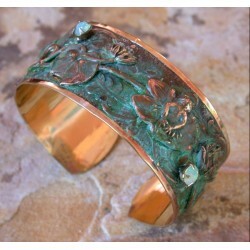 The verdigris patina brass is reminiscent of buried treasure found beneath the sea. 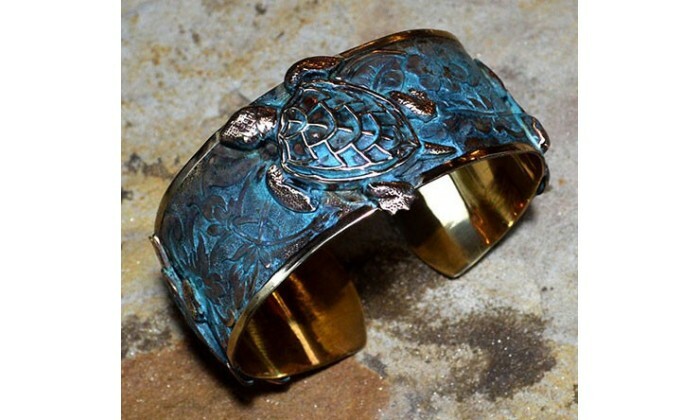 Think anchors from the Titanic, gold coins from Bluebeard's pirate ship and found jewelry from ships found sunk in the Bermuda Triangle; verdigris patina come to mind.